Where to Cut Your Orchid After Blooming?  I just received your newsletter on cutting back orchids, and I believe I goofed. I am totally new to this adventure and a complete novice. I was given an orchid by my wife purchased at Krogers and have become engrossed in them. The clerk said that this is an phalaenopsis, whatever that is??? I should have written you first, but the stem looked dead and there were no blooms, and I cut the stem back to the base… Have I killed this plant? Phalaenopsis orchids are especially unique in that they have the ability rebloom from an inflorescence (the part of the stem from where the flower grows) that has already bloomed! First, if the spike begins to turn brown then that means it’s not going to bloom again – at least not without some help. 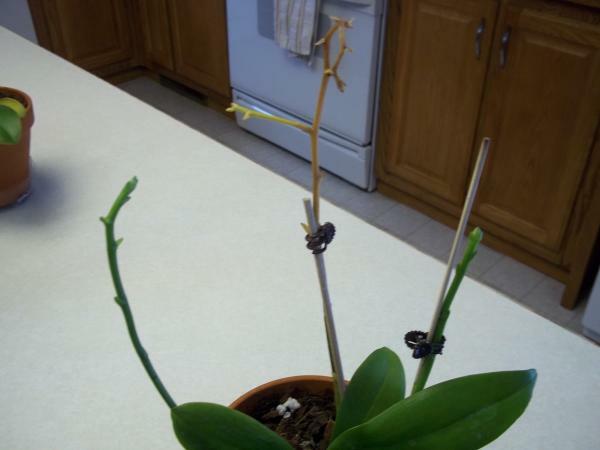 You basically have three options regarding what to do with your spike once it’s finished blooming. And whichever option you go with, you want to make sure you use a sterile cutting tool.